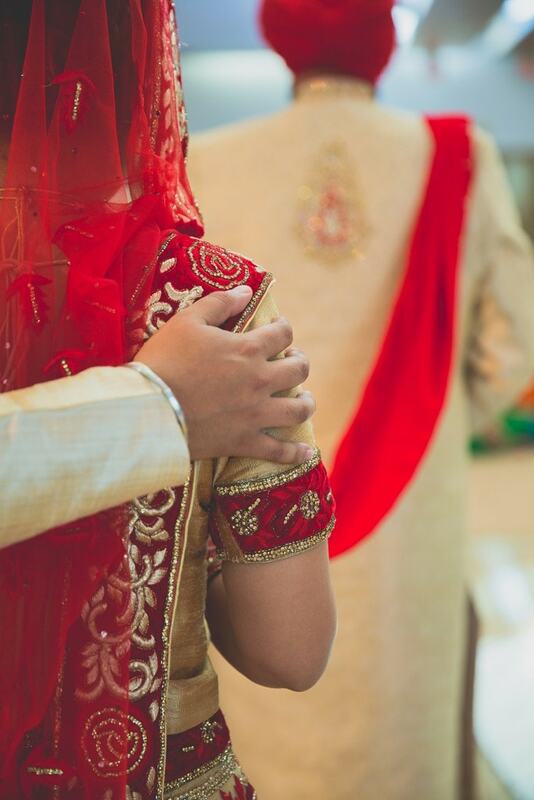 A wedding, a joining of two souls and the merging of two families. 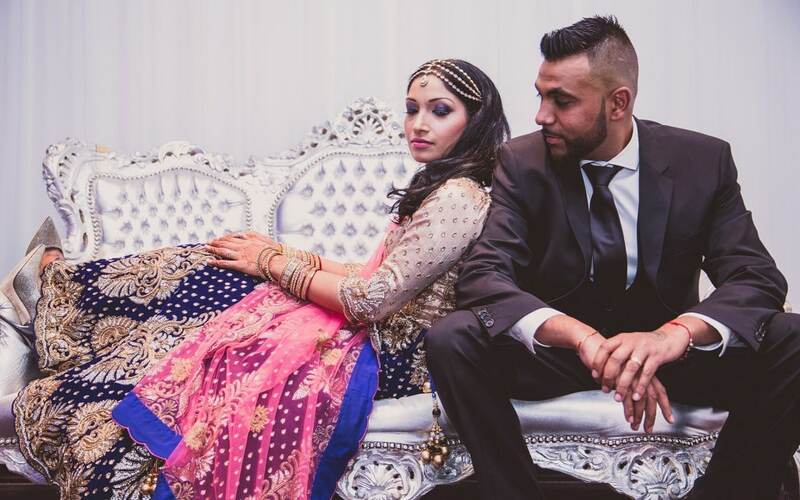 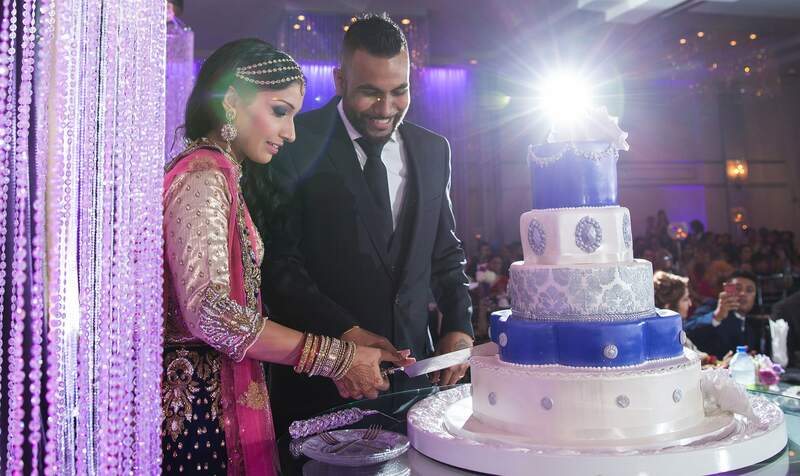 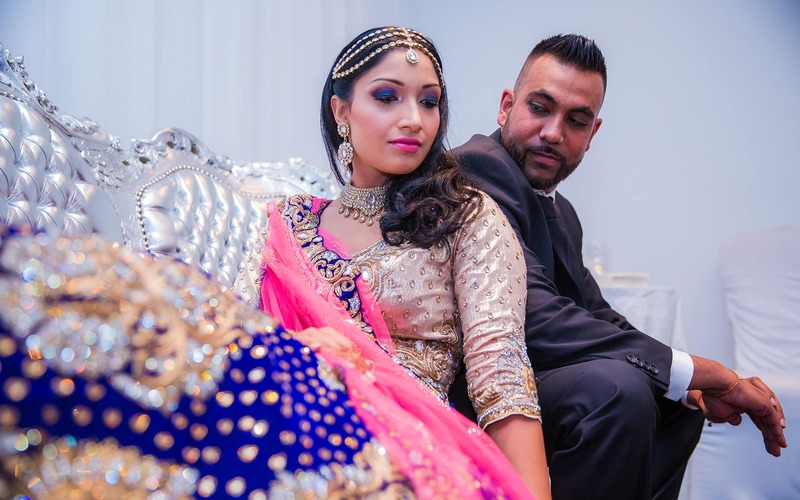 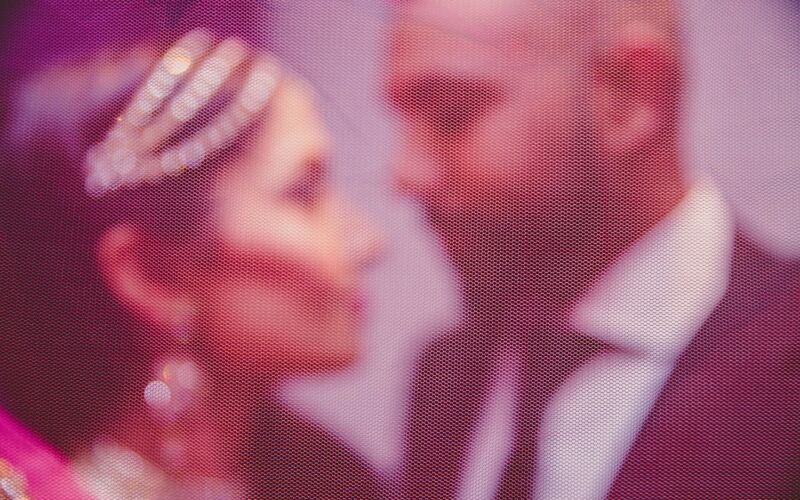 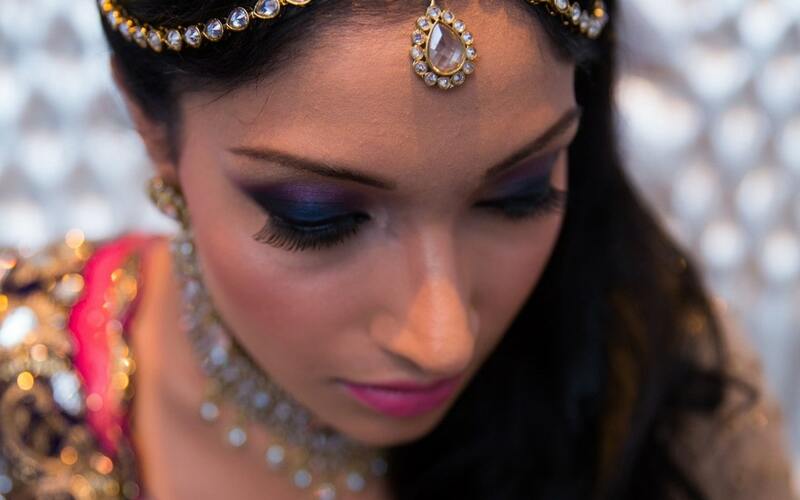 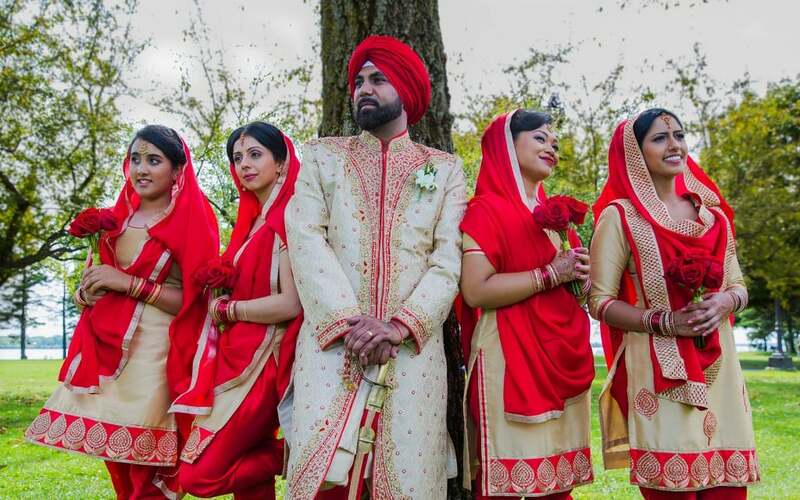 Jessie and Dupinder tied the knot on August 29th, 2014. 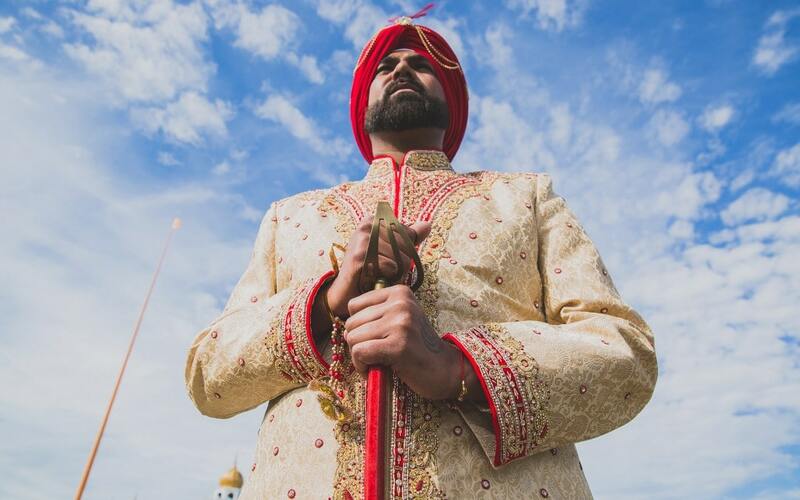 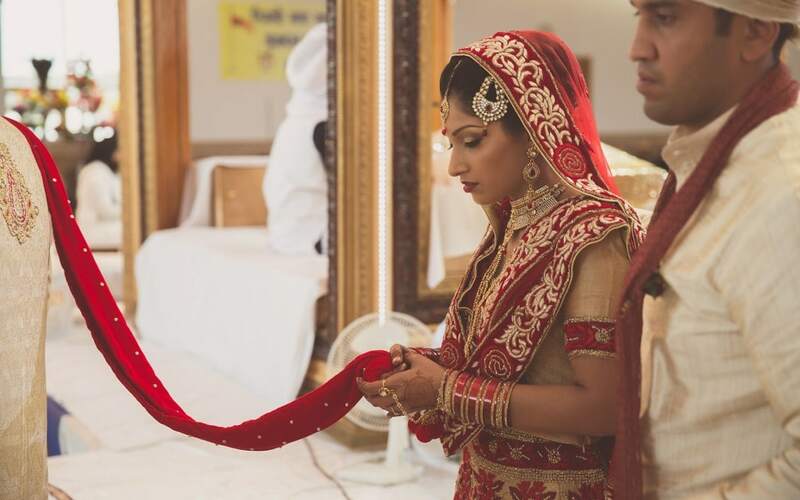 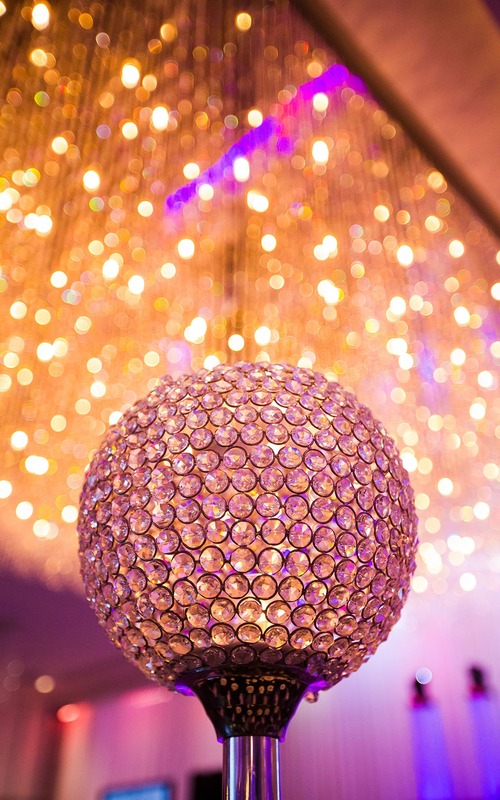 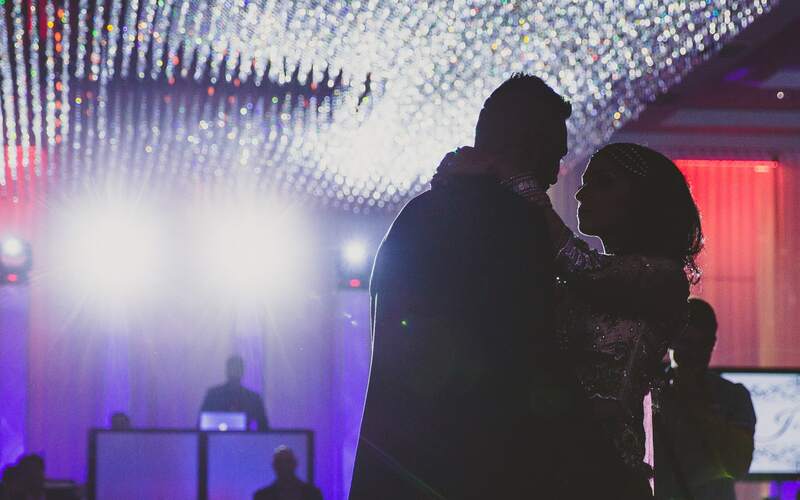 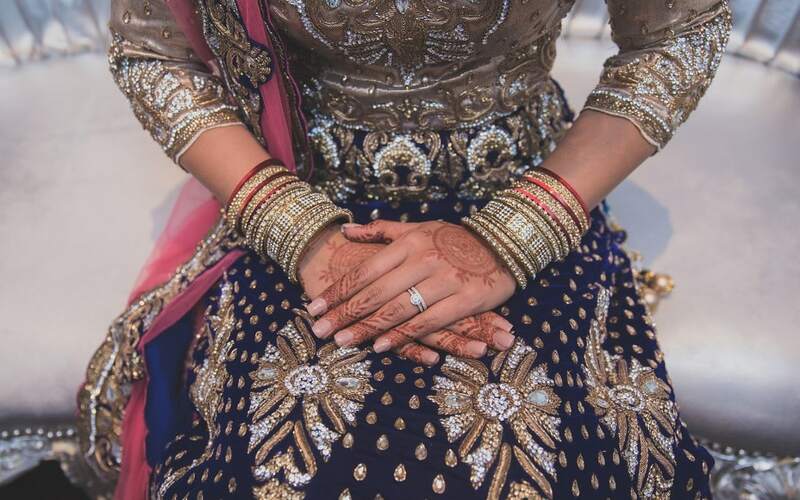 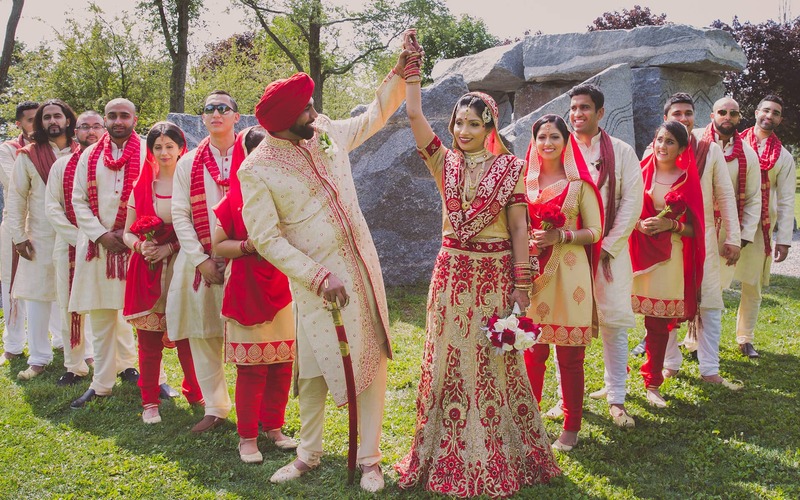 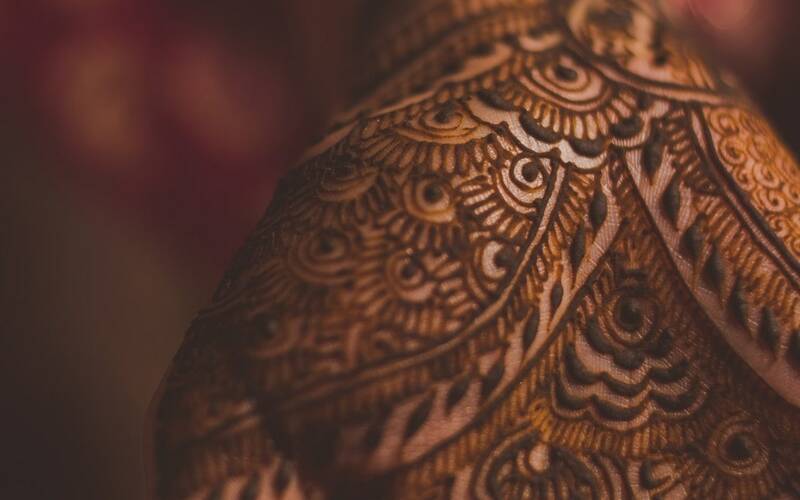 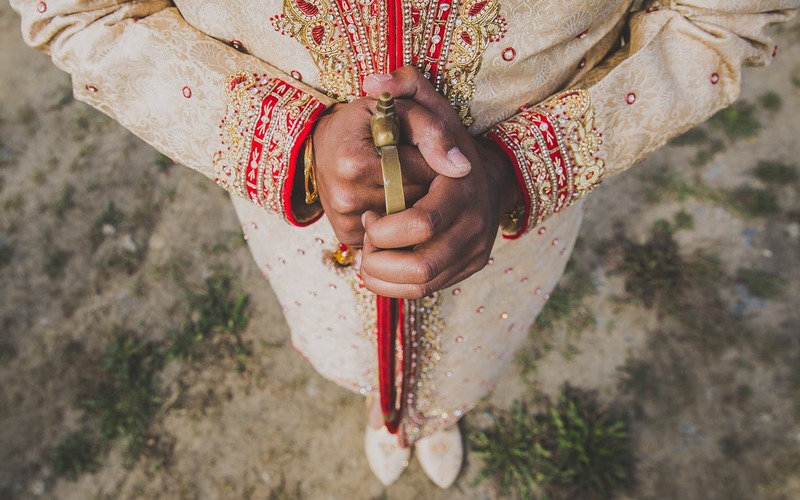 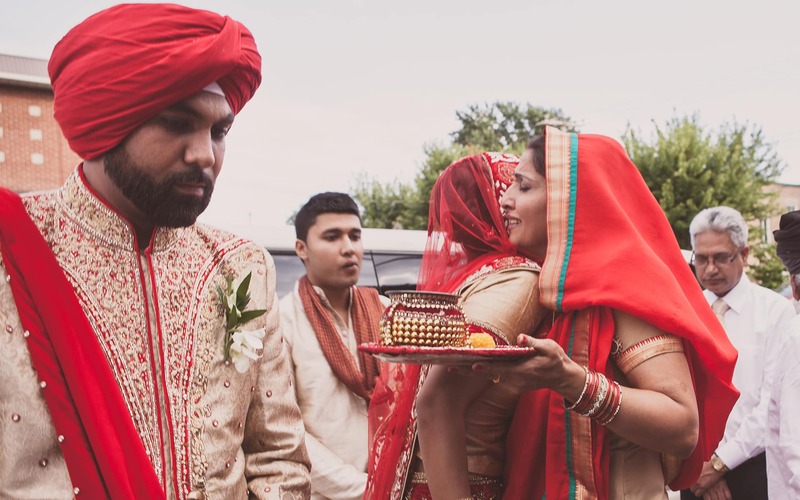 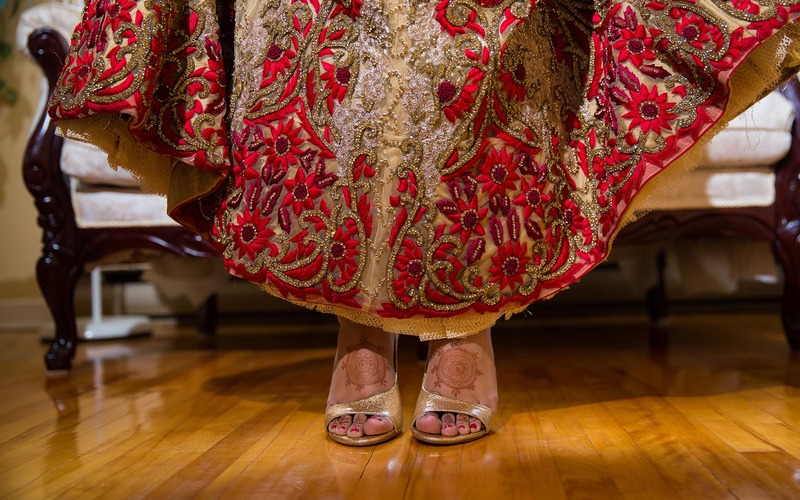 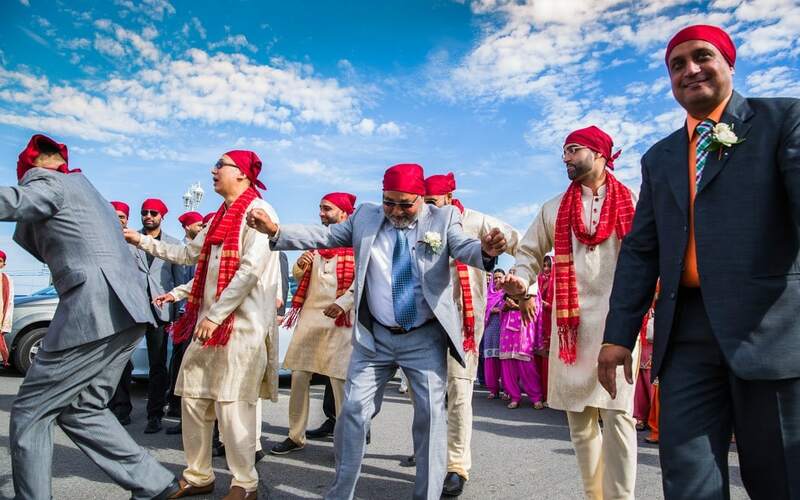 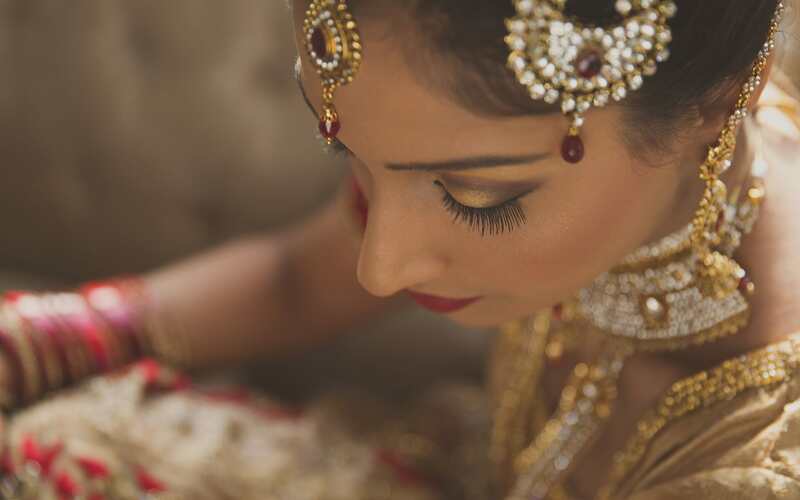 Their week-long wedding extravaganza was filled dancing, laughter, and great Indian food. . Montreal Sikh Weddings are mainly head at two locations, one the Lasalle Nanak Darbar Sikh Temple or DDO Sikh Temple in West Island. 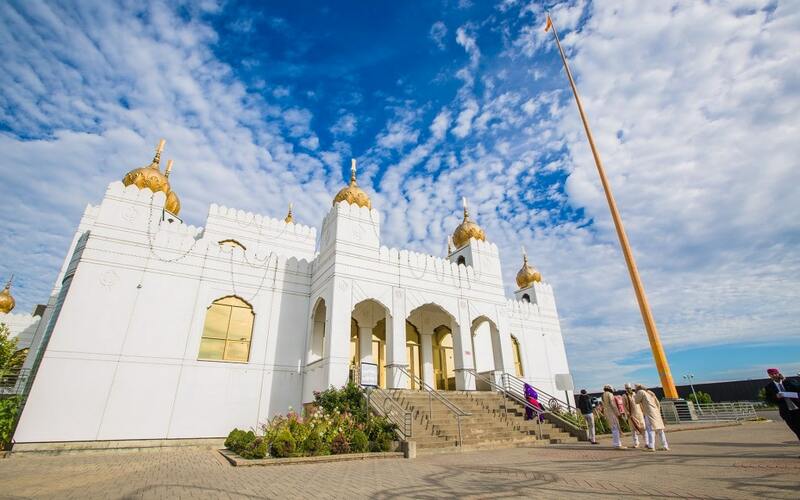 Lasalle Gurudwara is probably is the most desirable venue for Sikh weddings due to its unique architecture, natural light and ability to host weddings up to 1000 guests. 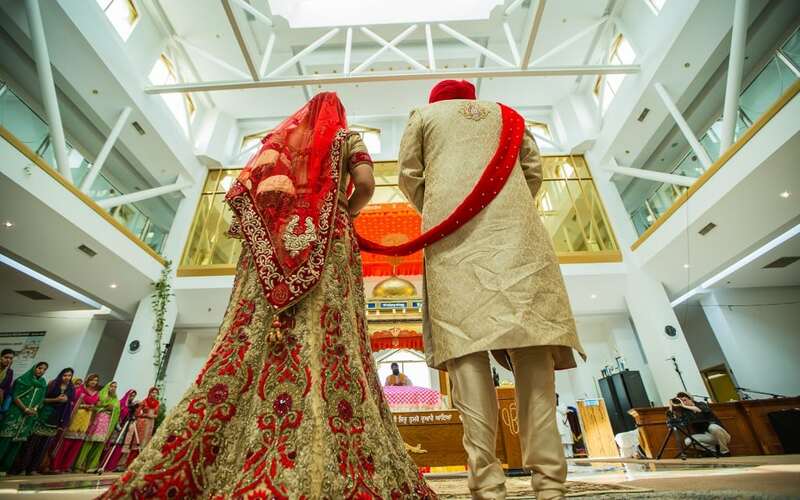 We personally love to photograph at this venue as provides dramatic images as well gives us options to photographer unique angles for the second floor of the temple. Montreal has a very small population of Sikhs as compared to Toronto or Vancouver or Calgary there for much of the community is connected through places of worship. 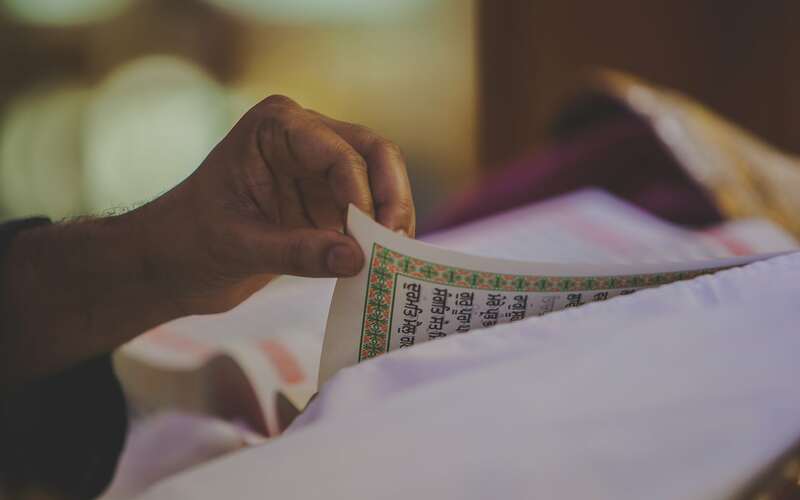 Never put your back towards the holy book, It’s considered disrespectful. 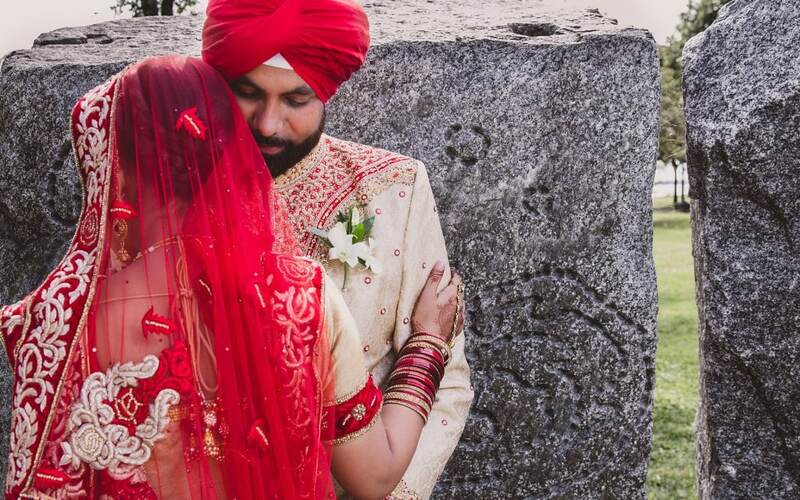 Always cover your head when you are in the temple while photographing weddings. 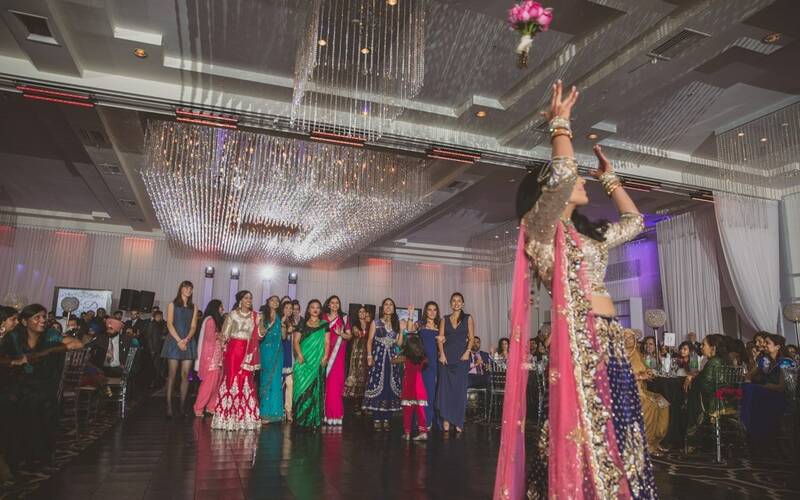 Don’t talk loud when you are in the main hall. 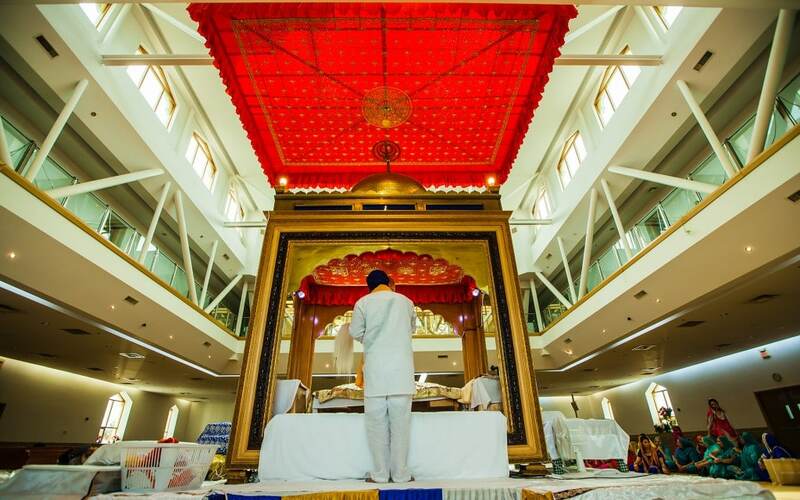 Ask the priest if there are particular rules that Sikh temple might follow. 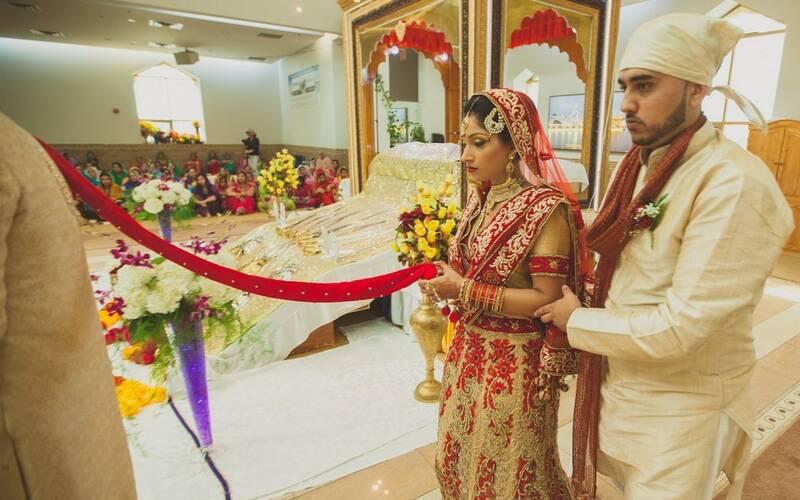 Don’t stand on the stage or the step leading to the main stage where the holy book is placed. 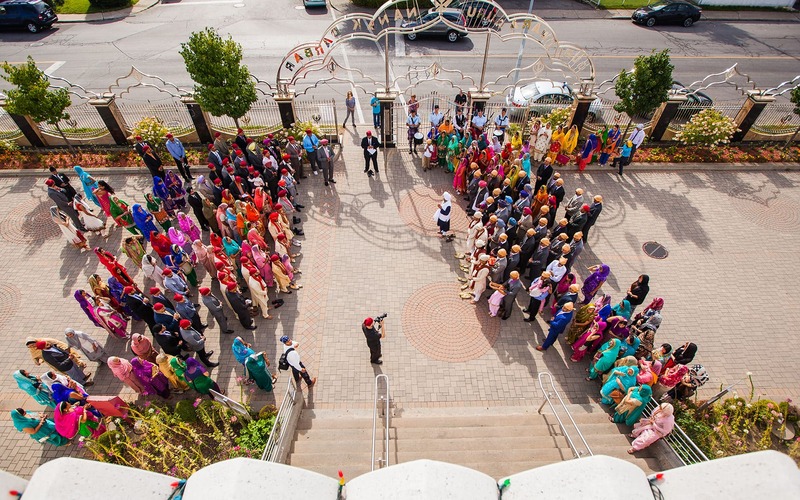 One of the core foundation of Sikhs religion is a community kitchen and every guest not only in Montreal but around the world at Sikh Temples are fed. 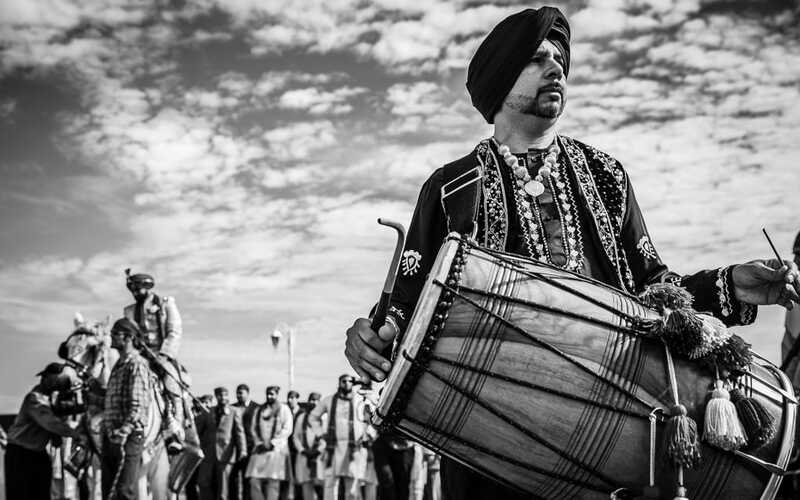 Community kitchen ritual was introduced by first guru of Sikhs, Guru Nanak as he wanted to abolish the caste system in the society. 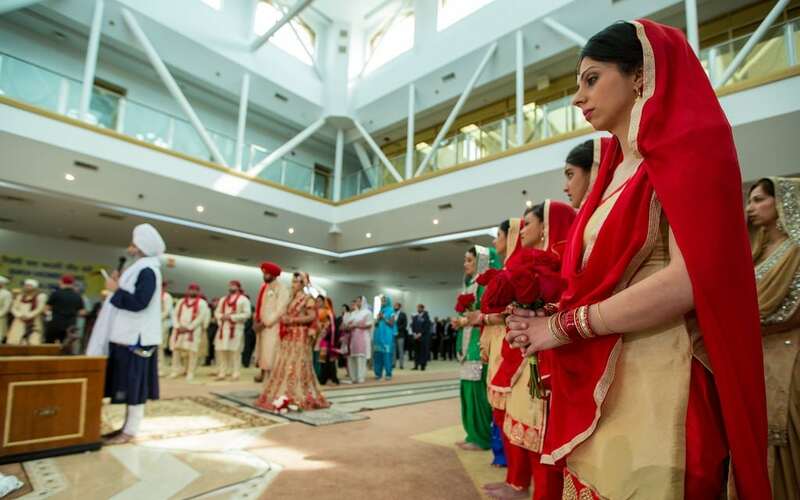 Kings and slaves, people from all religions, caste and colour would sit together on the floor to show equality in the society was the core value behind this practice. 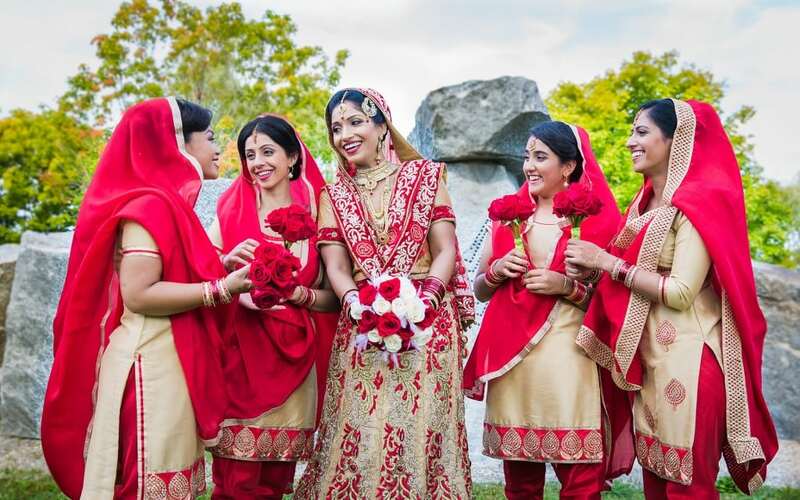 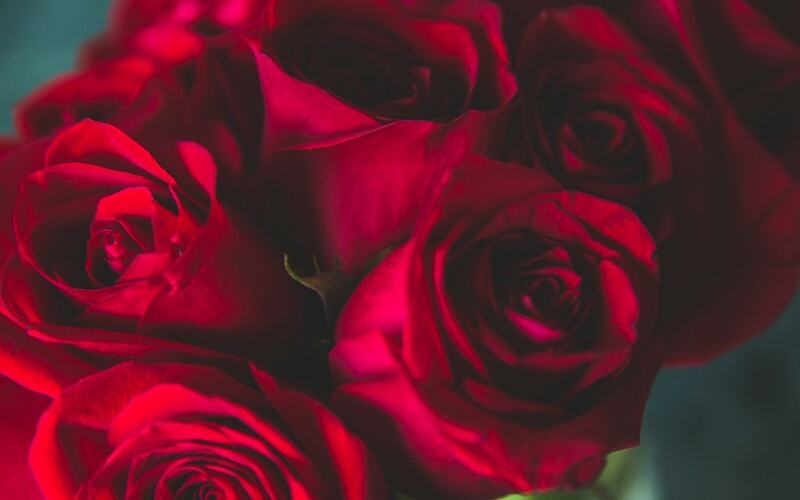 The bride, groom, the bridesmaids and the “bros” made their ways to Parc Rene-Levesque in the borough of Lachine for an amazing photoshoot filled with the colors of red and white with our team. 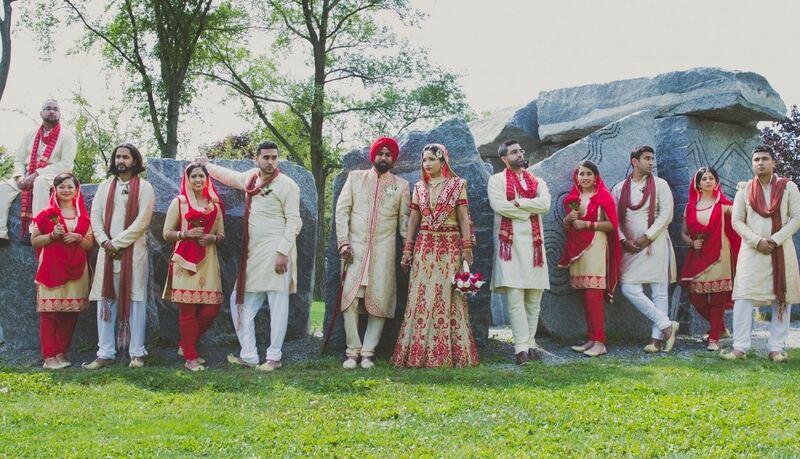 This location is amazing for photos and has no permit requirement, about 5 mins drive from the sikh temple in Lasalle. 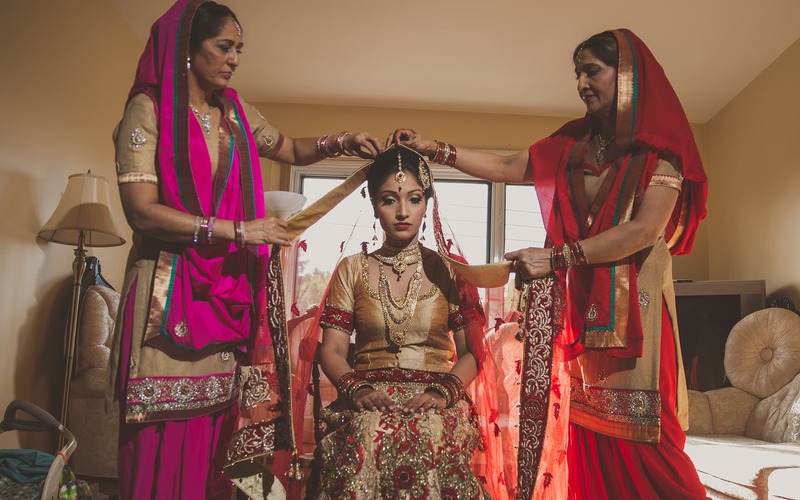 As with most Indian weddings, the couple made their way to the bride’s home where her sisters were waiting to collect their fee. 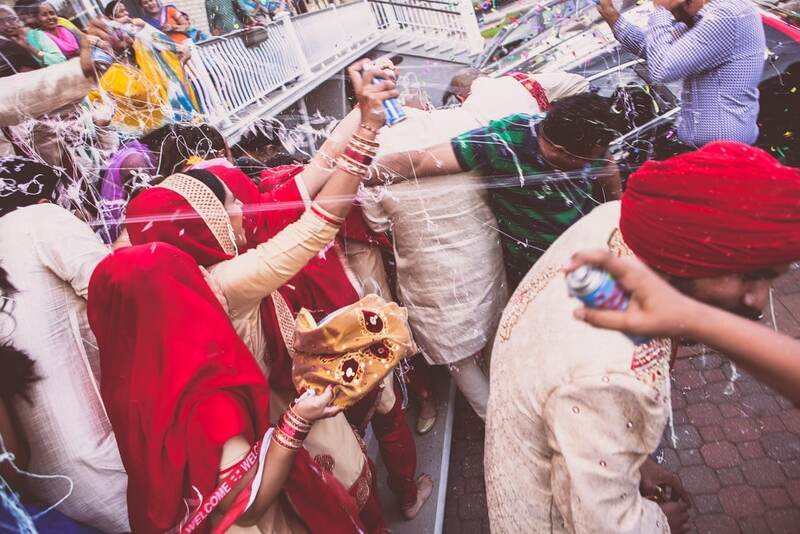 As photographer’s, this is probably one of the most hectic yet amazing part of Indian weddings. 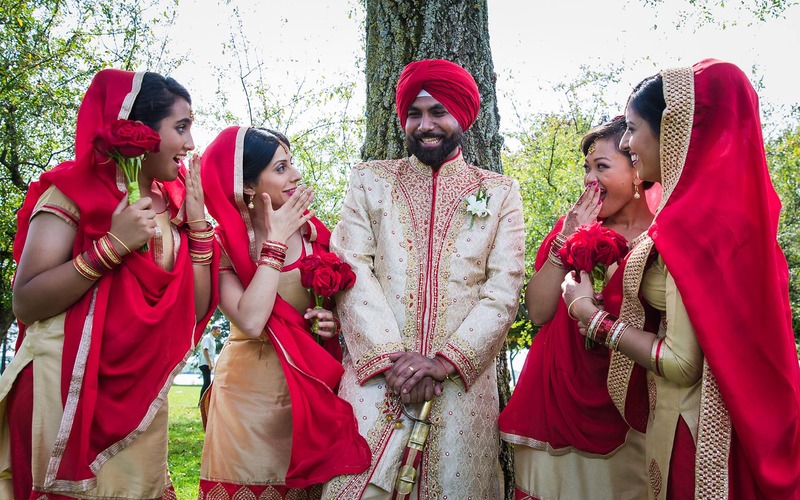 A little friendly rivalry can never hurt anyone! 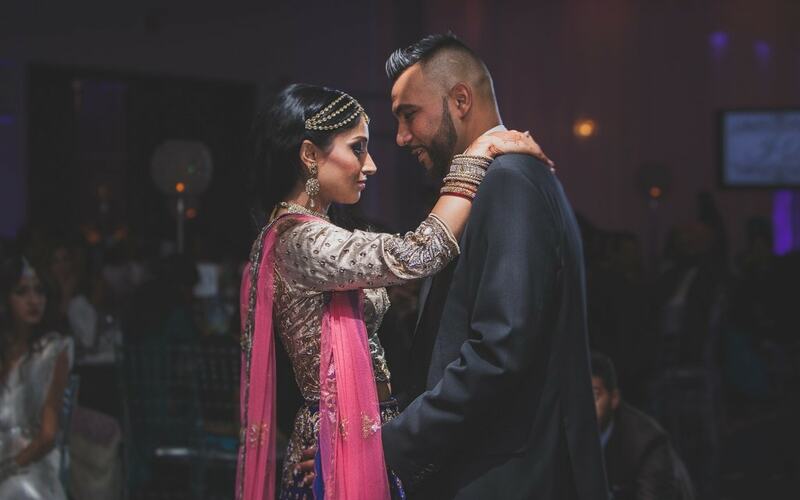 But Dupinder was set on taking his bride home. 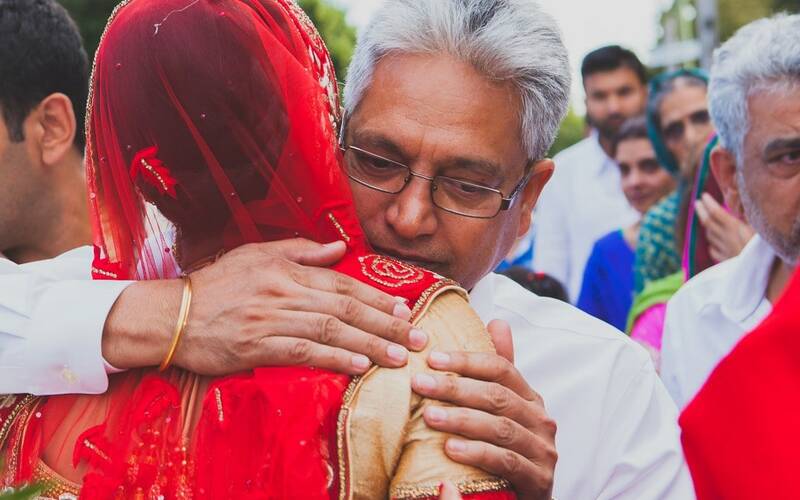 At the end of this amazing day, came an emotional end as Jessie said her goodbyes and left her home. 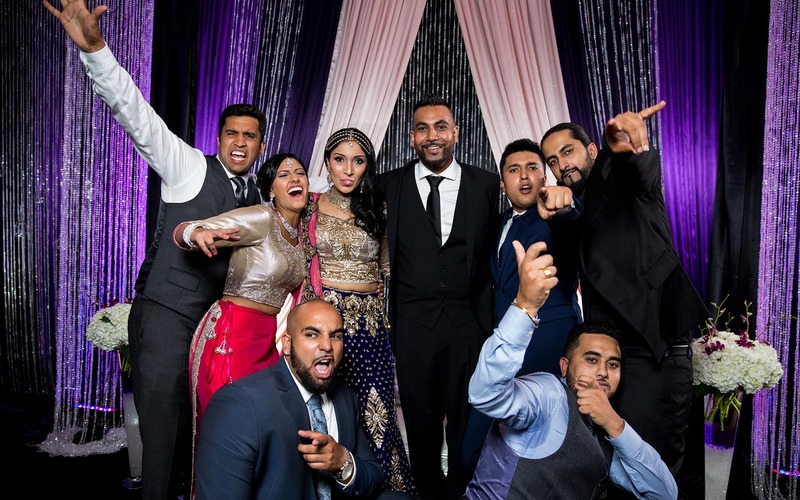 The following day, the families gathered once more to celebrate in extravagant night at the Mont Blanc reception hall center in Laval, QC. 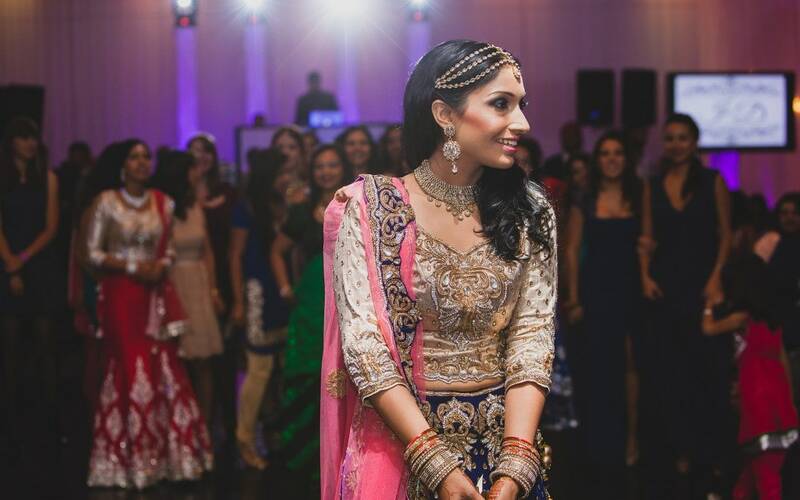 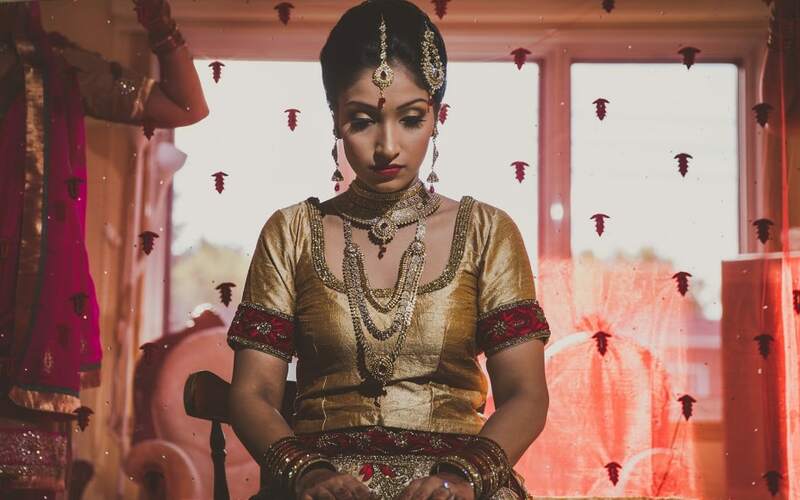 The bride in her elegant Indian dress and luscious jewelry, complemented by Dupinder in his draper attire.